I haven't ever had horrific skin, but I was also never blessed with completely clear skin. What I eat and drink really does make a huge difference to how my skin reacts and the skin care plays a huge part. 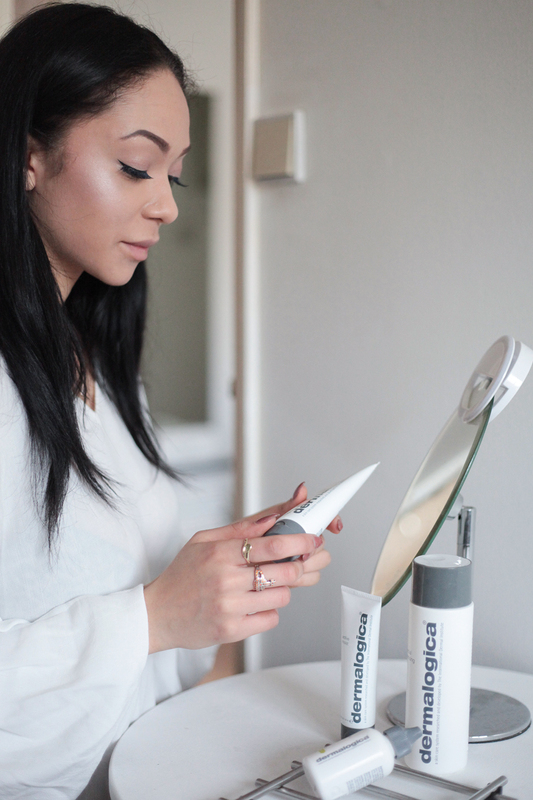 I never had a proper skin routine, nor did I know much about my face so with the help of Dermalogica and Preen.Me I went to find out. 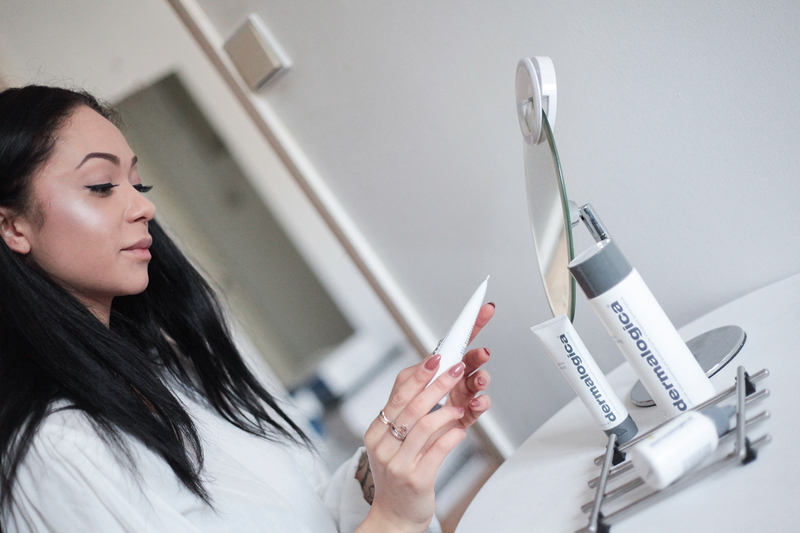 See the post HERE about my first experience being prescribed the products. 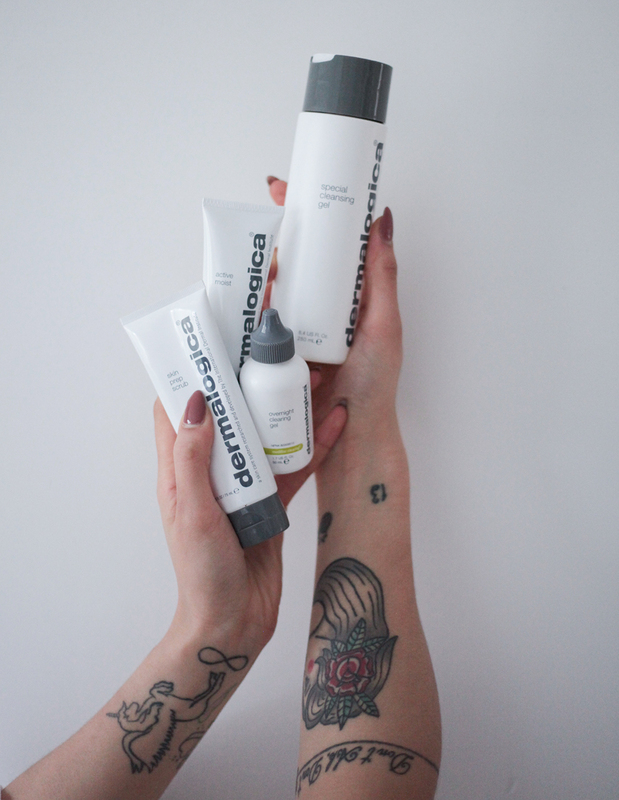 My new Dermalogica skincare routine took a while to get into, but I researched this online and it can take a couple of weeks for your skin to adjust and become accustomed to the new products. I started off using the special cleansing gel every day, morning and night and the active moisturiser afterwards.For the overnight clearing gel, I put on too much to start with and this I think was a bit of a shock for my skin. It got a little irritated and broke out but this could have been the combination of new skin products and the intensity of the gel. But this soon went down. The skin prep scrub is great for exfoliating and my face has never felt so soft but I wouldn't recommend using this on it's own every day as it can create problems that weren't there. My TOP TIP is to mix it with another daily facial wash to make a soft exfoliant and this can be used every morning. I'd say just stick with the cleansing gel for the evening after you've taken your make up off, then moisturise and add the clearing gel ONLY on the bits that need it. Eg the blemishes. 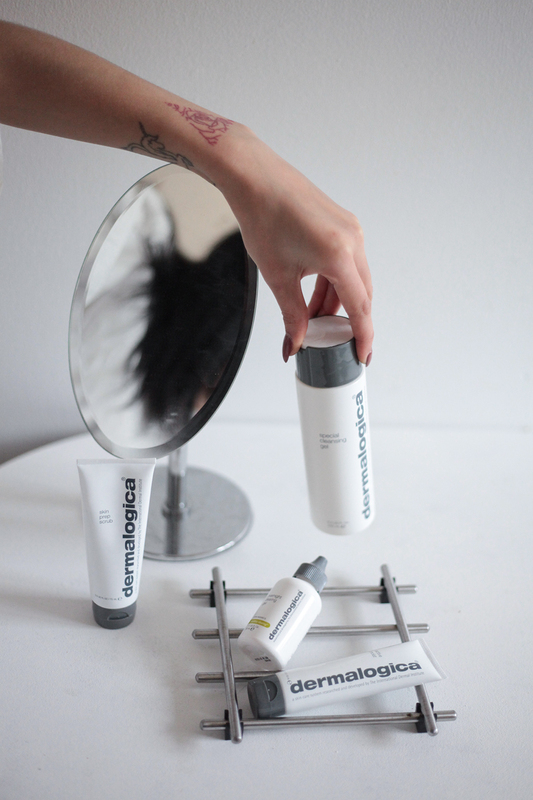 The Dermalogica range has genuinely improved my skin, taken down the redness and made me feel so much more refreshed. 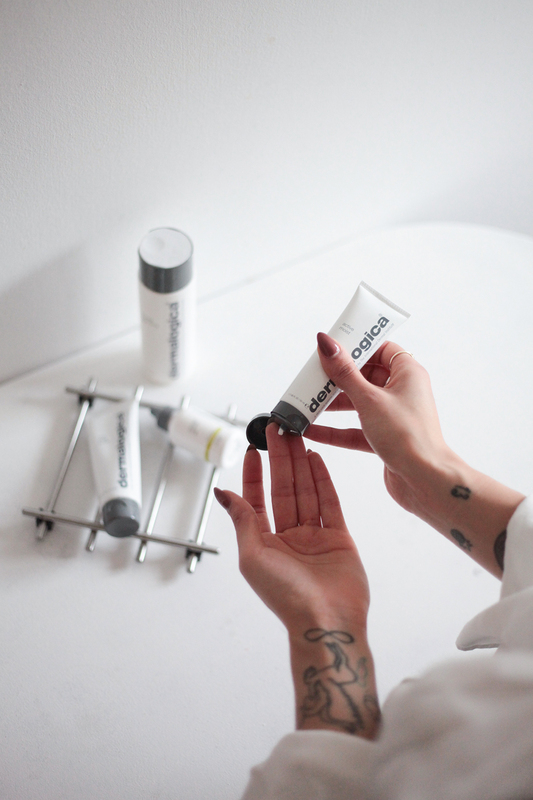 There really is something behind the high end skincare movement whether it's about making your face feel great or genuinely improving it for the better. The dryness has improved, the colour has improved, and the over all feel of my skin has improved. But never let this take away from how much water you should drink per day! 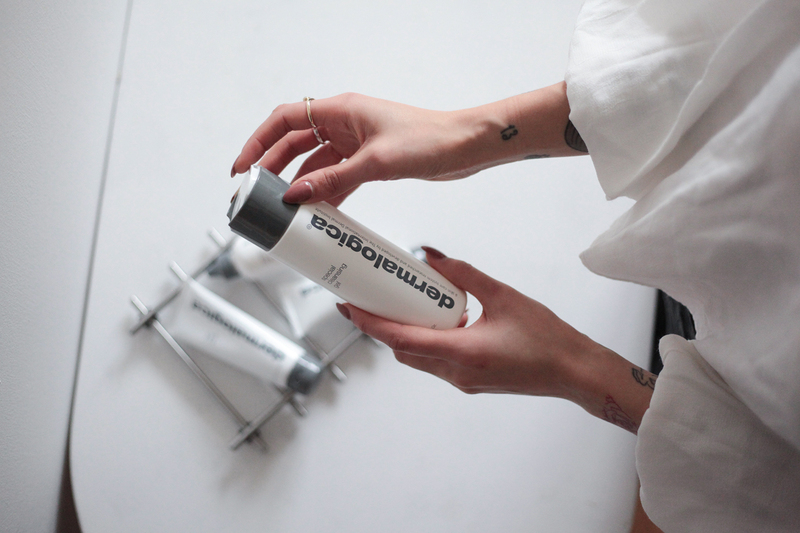 Thank you Dermalogica and Preen.Me for giving me the opportunity to finally learn about my skin.